📝 Note: Make sure that Sharing on Facebook is toggled to on to be able to edit this. 4. Under How many points should be given? enter an amount, based on how much you value this action. 💡 Quick Tip: This doesn't always have to be your store URL. If you're launching new season stock, you could use your new season collection page as your Share URL or share your loyalty program link, by adding /?loyal to the end of your store URL. If you have a custom URL for your Shopify site (i.e. doesn't have .myshopify.com in it) you should use this to create your loyalty link. It will be more clear for visitors and is likely to pull imagery from your website into the social post. 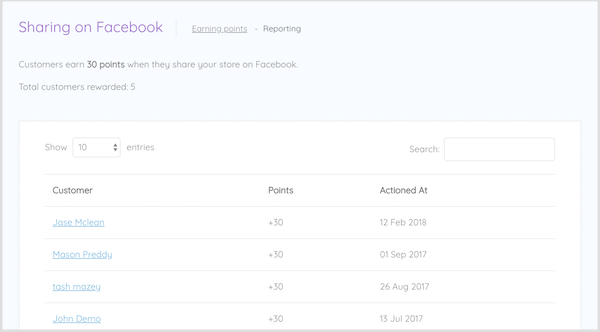 When your members log in to their account and visit the Earn tab of your loyalty widget, they will see your Share us on Facebook earn option. Here, they can click Share us on Facebook which will open a post, pre-populated with your Share URL. All they need to do is add an optional message and click Post. Once they've posted successfully, they'll receive their points right away. Unlike other loyalty apps, we check they have actually posted, before giving them their points. 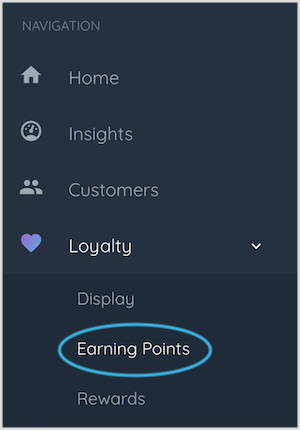 Other apps reward the points as soon as they click that earn option, regardless of whether or not they complete the action. 📝 Note: Members can only get rewarded for sharing on Facebook once.